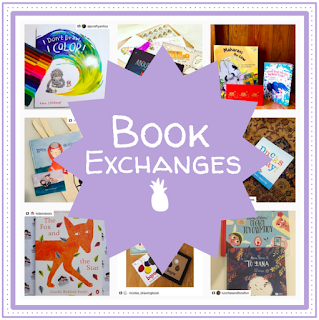 Let's Talk Picture Books: What Does the Fox Say? 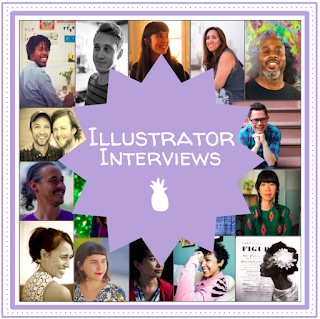 To be honest, one of the reasons I'm writing this post is to showcase my favorite new picture book of the year Ooko by Esmé Shapiro (due to publish from Tundra books July 5). 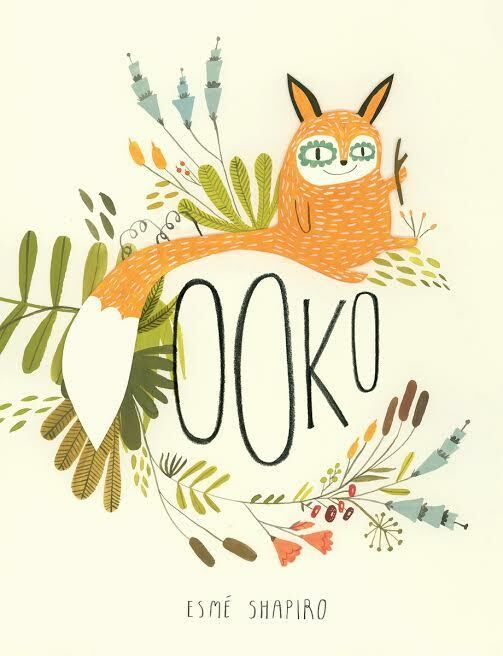 Ooko is the story of a friendless fox who sets out to find a companion. Sure he has his stick, his rock, and his leaf, but what fun are those without someone to share them with? 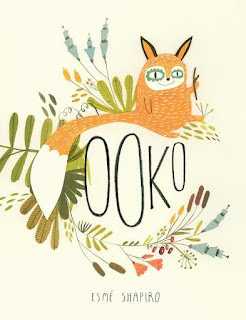 Ooko physically stands apart from other animals, often hiding in bushes, behind doors, or even staying on the opposite page of the spread. He constantly gets to observe, but never participate. Of course this changes when he ends up being adopted by a less-than-brilliant woman who mistakes Ooko for her dog, but this is the first time we get to see Ooko interact with others physically. 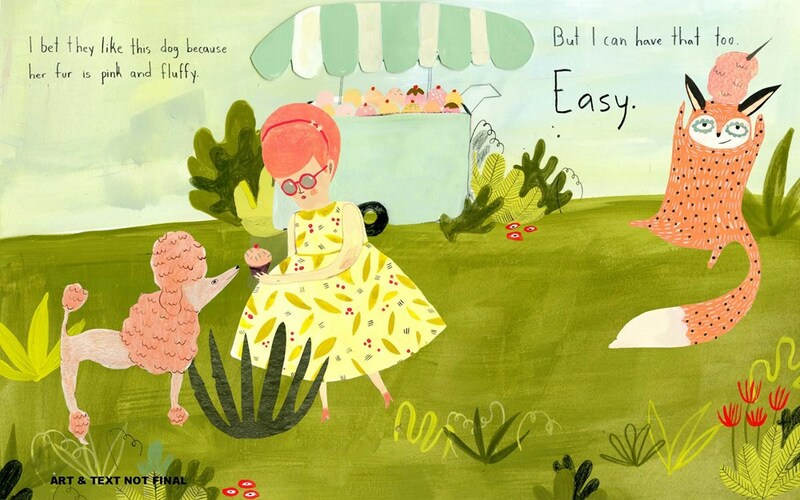 When Ooko finally meets Oomi, we get to see Ooko interact physically with another animal--they even appear on the same page! Hands-down one of the best books of the year. On the opposite end of the spectrum is the fox from The Fox and the Crow, written by Mansai Subramaniam and illustrated by Culpeo S Fox. 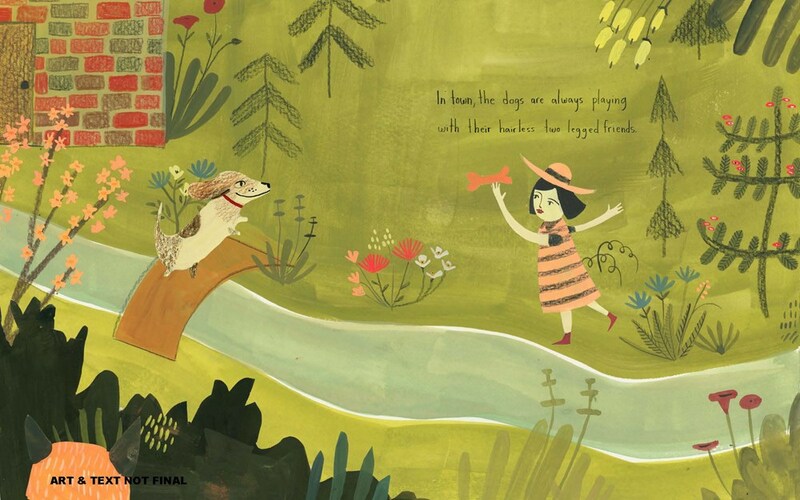 The book has the cadence of a folk tale, following a fox as it tries to steal a loaf of bread from a crow. We see the traditional trickery that usually accompanies a fox as it challenges the crow physically and mentally in an effort to outwit it. 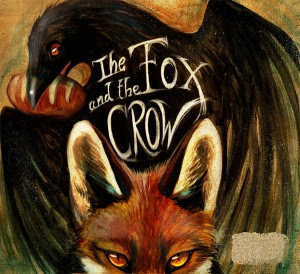 The fox and the crow very clearly occupy different spaces in the book. Oftentimes they don't even appear on the same spread, and when they do it's at polar opposite sides. At some points the book actually flips to vertical view, and we see them appear together, but one is at the bottom and the other at the top. Once again, we see the fox isolated, appearing in its own space. 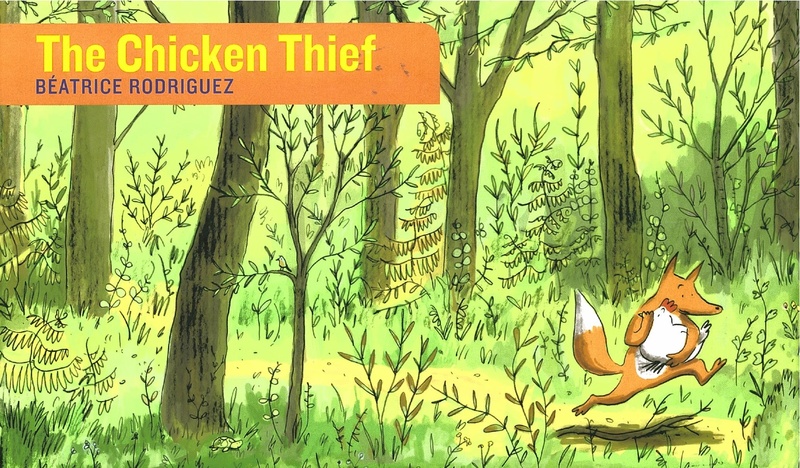 A good combination of these two "types" of fox is The Chicken Thief by Béatrice Rodriguez. 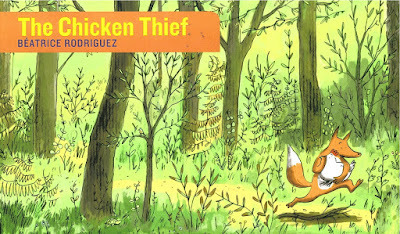 We start out thinking that the fox is stealing the chicken for nefarious purposes, but we quickly learn that there's more to their relationship than we first thought. 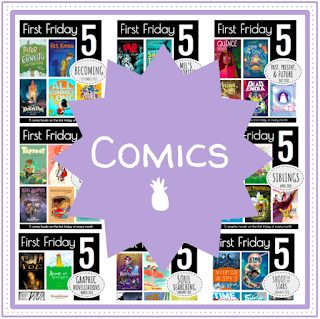 A bear, a rabbit, and a rooster chase the duo through the entire book thinking that the fox is going to eat the chicken, but it becomes clear to readers that there is more going on behind the scenes. 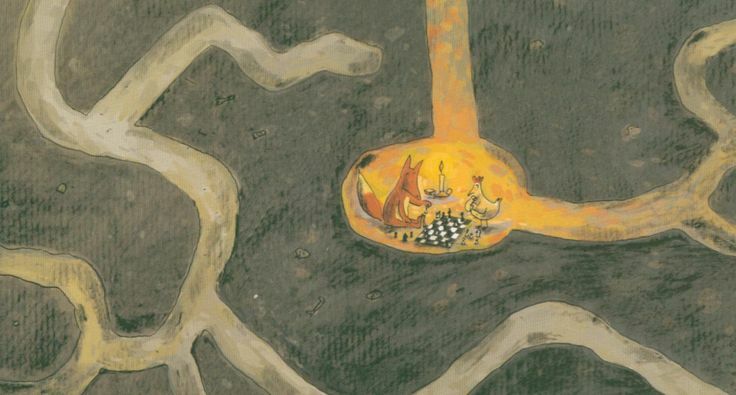 We see the two animals sleep together quite peacefully, indulge in games like chess, and share a cup of tea. 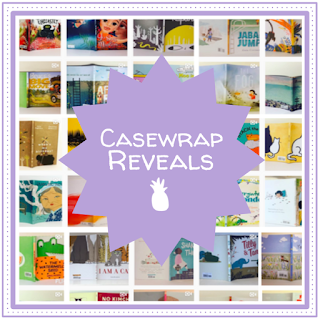 By the time we get to the final spreads, we learn that there's much more going on than we originally thought. Have a foxy week, and I'll see you next Tuesday!